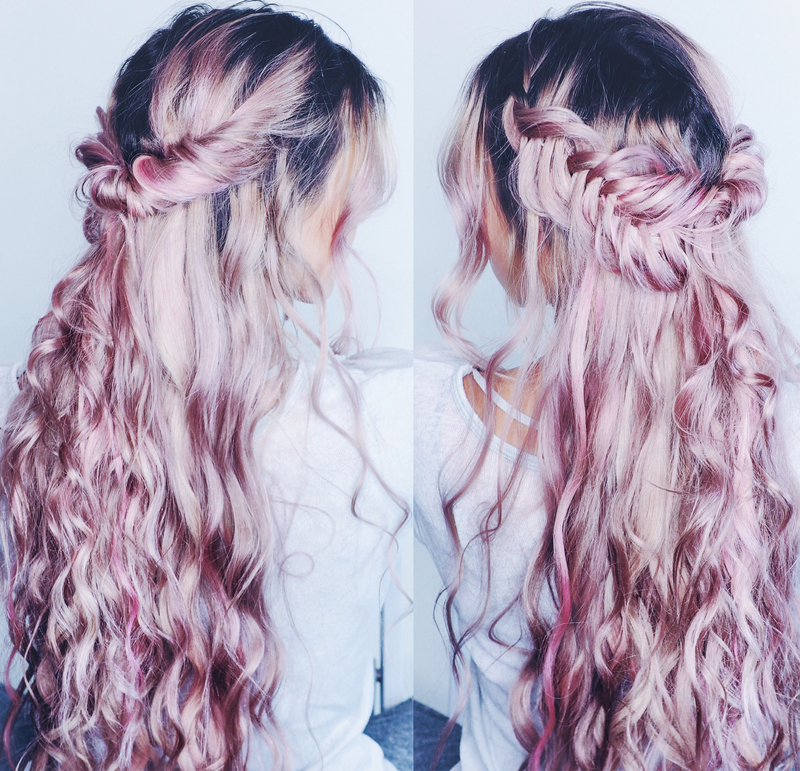 How feminine and pretty is this style? I curled my hair beforehand (using this tutorial for tighter curls or this for looser waves) which I think adds a lot to the mermaidy-ness of it, but the fishtail and twist make it like the prettiest prom or wedding style ever. I feel like if I want a hairstyle that everyone is always impressed with, I always go for a dutch fishtail… It is so funny how big this braid looks but before I pull it apart it is like the tiniest thing. Do you guys pull all of your braids apart?